Europe’s offshore wind industry is set for a record 12 months, as new analysis from the European Wind Energy Association (EWEA) reveals a bumper start to the year. As several projects reached completion and larger, more powerful turbines were deployed, 2.3GW of capacity was added to the European electricity grid. With 82 wind farms across 11 countries, total connected offshore wind capacity has now hit 10GW, enough to power around seven million homes. 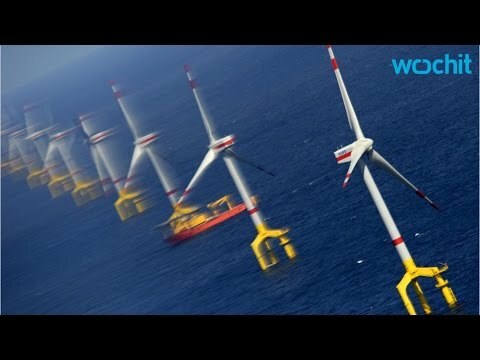 The biggest factor in the rise was a huge jump in turbines in German waters, with the country installing three times more electricity-generating capacity than the current leader, the UK. It is not just in Europe that offshore wind energy is showing strength. The first offshore wind project in the US put steel in the ocean this week – another sign that the transition away from dirty energy is unstoppable. 2015 is set to be a record-breaking year for offshore wind. New figures from the European Wind Energy Association (EWEA) shows the continent’s offshore wind industry is set for a bumper 12 months, with installations in the first six months of the year hitting record levels. Fifteen wind farms were installed and connected to the grid in waters off the UK, the Netherlands and Germany and, resulting in more installed capacity than in any other year. Total installed capacity has now hit 10,394 MW, with 82 wind farms across 11 countries. Germany is taking the top spot in 2015, overtaking former leader the UK. Since January, Germany has installed 1.7GW of wind power, the UK 0.5GW and the Netherlands 0.1GW. It is the first time Europe will see Germany deploy more offshore wind than the UK, described as “a real statement of intent… as the energiewende continue to kick in”. While the UK still has about double the installed capacity of Germany, but continued expansion will see this gap erased, according to EWEA. Offshore wind is big business for Europe, but the industry’s success is not guaranteed. 90 per cent of the world’s offshore wind power is installed in northern Europe, cutting dependency on fossil fuel imports, and boosting jobs and economic growth. Over the last sixth months, €71. billion of project got final investment approval, and another but the EWEA warns the industry needs “clear and stable policy from governments” for the sector to attract the €10 billion of investment needed for all the projects in the pipeline to reach completion.